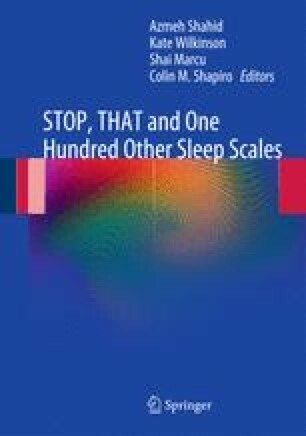 The CETQ was designed by Moore and colleagues  to be a very brief measure of cataplexy. The 55-item scale was inspired by the observation that self-reported muscle weakness during laughter, anger, and joking is the best method for identifying individuals with cataplexy . Respondents are asked a single screening question regarding muscle weakness during laughter. If such a symptom is present, several follow-up questions are posed regarding physical symptoms (slurring of speech, trouble hearing, and location of symptoms).